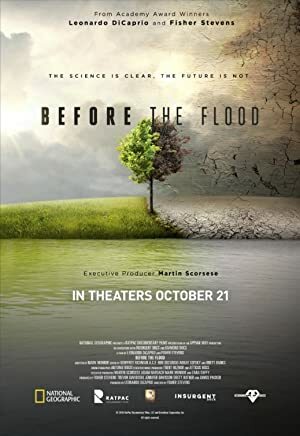 Before the Flood (2016) – What's New on Netflix Canada Today! Leonardo DiCaprio talks with Elon Musk, Pope Francis, Barack Obama and Ban Ki-moon, among others. Leonardo DiCaprio crisscrosses the globe to investigate the consequences of man-made globe warming and the measures being taken to reverse it. A look at how climate change affects our environment and what society can do to prevent the demise of endangered species, ecosystems and native communities across the planet.